PERIOD OF POPULARITY: Roughly 1900 – 1929 (prior to the Great Depression), and mostly prior to 1920. 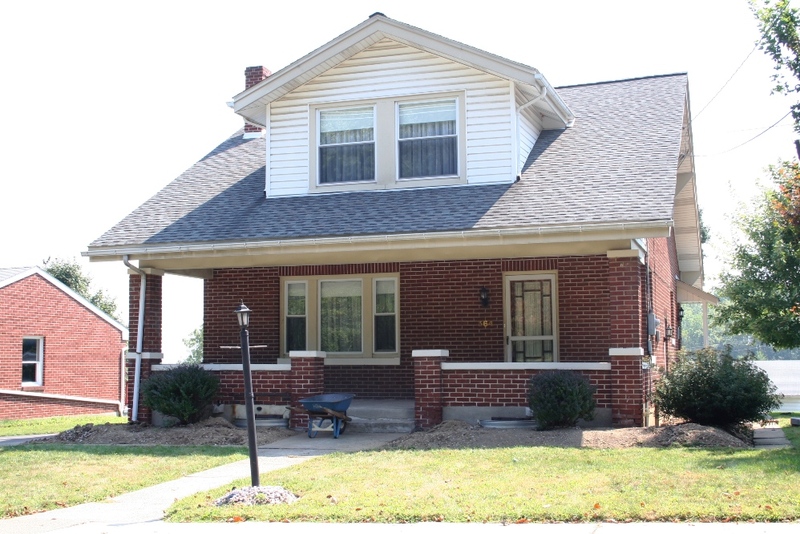 IDENTIFYING FEATURES: Low-pitched, gabled roof; wide overhanging eaves, exposed rafters (rafter tails) under eaves; decorative brackets (knee braces or corbels); front or corner porch under the roofline; tapered (battered) or square columns supporting roof or porch; 4-over-1, or 6-over-1 sash windows, often with Frank Lloyd Wright design motifs; hand-crafted stone or woodwork, often mixed materials throughout structure. 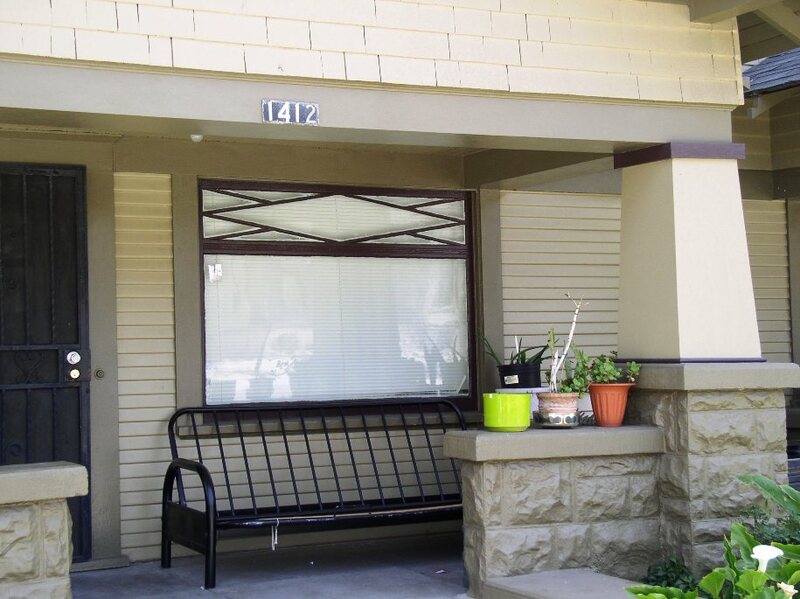 Bungalows can either be front-gabled, side-gabled, or cross-gabled. BACKGROUND AND INSPIRATION: The terms “craftsman” and “bungalow” are often used interchangably, though there is a fundamental distinction. “Craftsman” refers generally to the Arts and Crafts movement and is considered an architectural or interior style, whereas “bungalow” is a particular form of house or building. 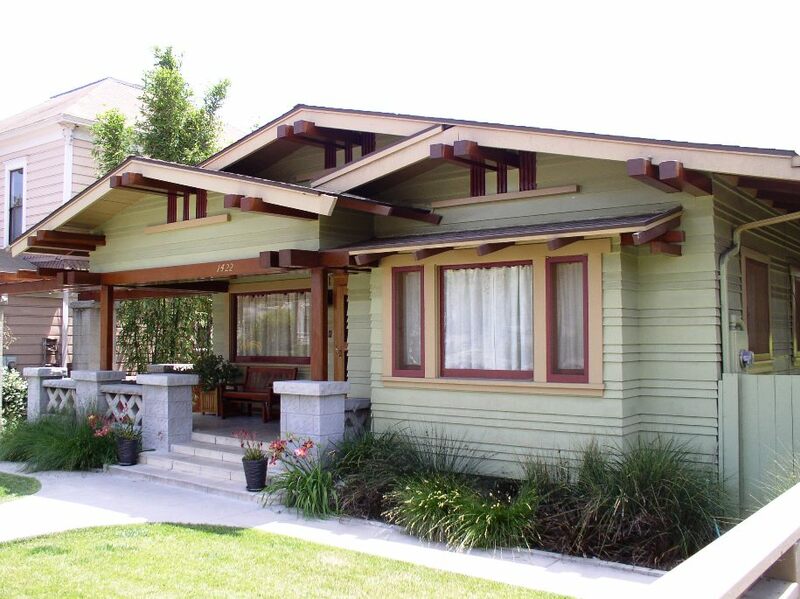 Thus, a bungalow can exhibit a craftsman style, and many of them indeed did so. According to Lancaster (1985), the term “bungalow” comes to us from the country of India, derived from the Bengali noun bangla, referring to a low house with galleries (porches) all around it, also identical with the Hindi adjective, bangla, translated as “belonging to Bengal”. The first bungalows in the United States, as we might recognize them, appeared after the Philadelphia Centennial celebrations of 1876. More Americans became interested in applying new principles to architecture, striving to move away from European precedents. As Lancaster (1985, 43) explained, “The bungalow was the result of the overthrow of Eclecticism,” in an attempt to apply more simplicity and honesty in style and materials to American homes. Generally, the Arts and Crafts movement was a reaction to the extravagant, machined, and mass-produced Victorian styles that in turn represented the Industrial Revolution. 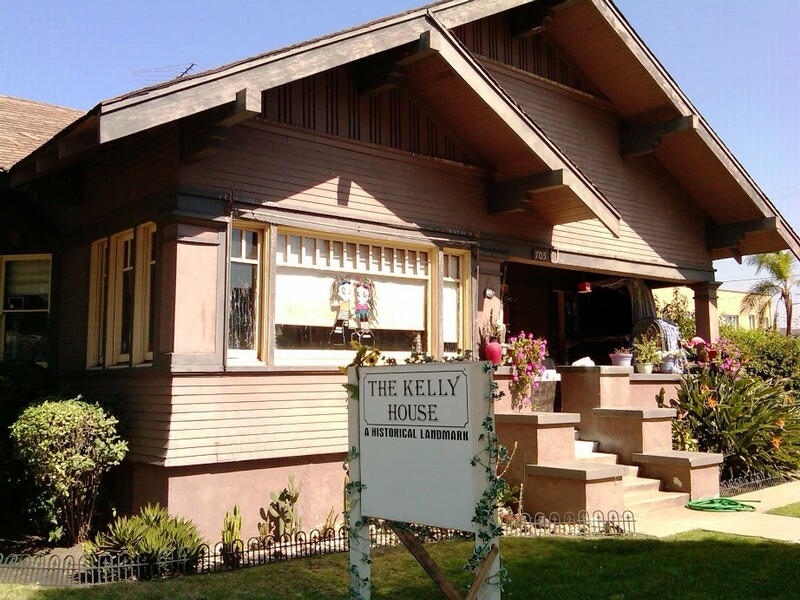 By the 1890s the bungalow form in America had diffused to the West Coast, particularly via San Francisco and southern California. 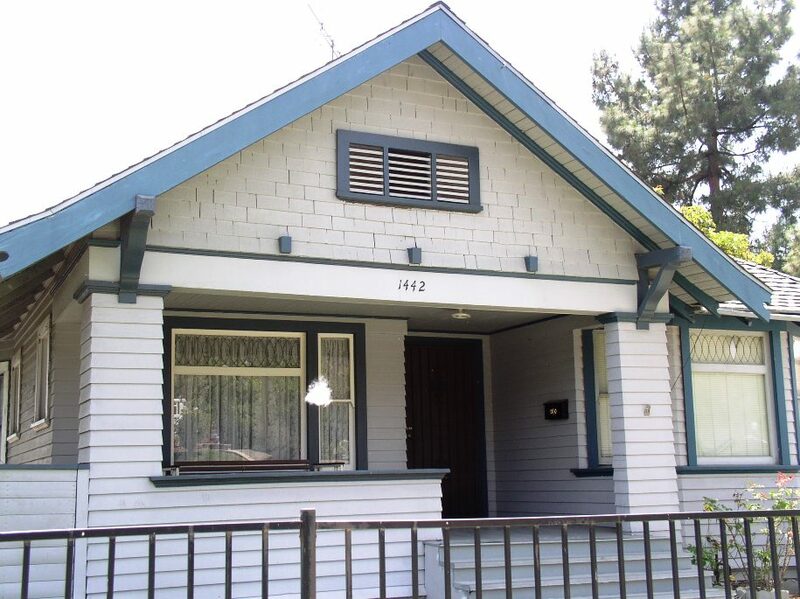 It is the so-called California Bungalow that became the rage in pattern books across the nation and was reproduced into the various forms of middle- and working-class housing (and some elaborate, high-style examples). The popularizing of the west-coast bungalow has been generally credited to the Greene and Greene brothers and their architectural firm in Pasadena, CA. In 1902-1903, Charles and Henry Greene were influenced by the vernacular style of board and shingle buildings in California as well as authentic Japanese sources. One clear source for the brothers was the Japanese Hooden exhibit at the Chicago World’s Fair (Columbian Exposition) in 1893. The brothers depended most on wooden construction. 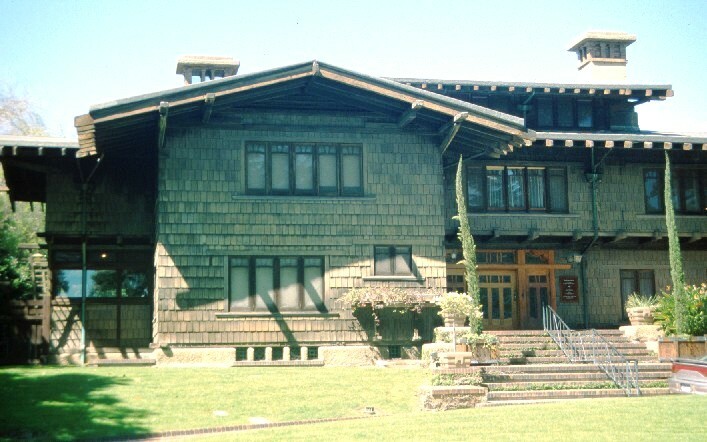 Their principal achievements in wood construction consisted of four luxurious houses designed between 1907-1909: 1) Blacker House, Pasadena; 2) Gamble House, Pasadena; 3) Thorsen House, Berkeley; 4) Pratt House, Ojai. These four homes were labeled by architectural academics as “Bungalows”. The bungalow form became the common builder’s house between 1910-1920, influenced by Greene and Greene. Numerous “bungalow books” promoted the new style and form. The type, with many variants, included these features: low, gabled, one or one-and-a-half storied house; front pitch of roof extended to shelter a large porch (incised porch). By the 1990s the craftsman style and its associated bungalow form was enjoying a revival across the United States which has yet to ebb. More Americans are either restoring older bungalows or purchasing newer “neo-craftsman” bungalows constructed now by the larger “production” builders or as specially designed custom homes. Reference: Lancaster, C. 1985. The American Bungalow, 1880-1930. New York: Abbeville Press. For More Photos of Craftsman Style on Flickr, Click Here. Pasadena, CA. David Gamble House, c.1908. Architects Charles and Henry Green. 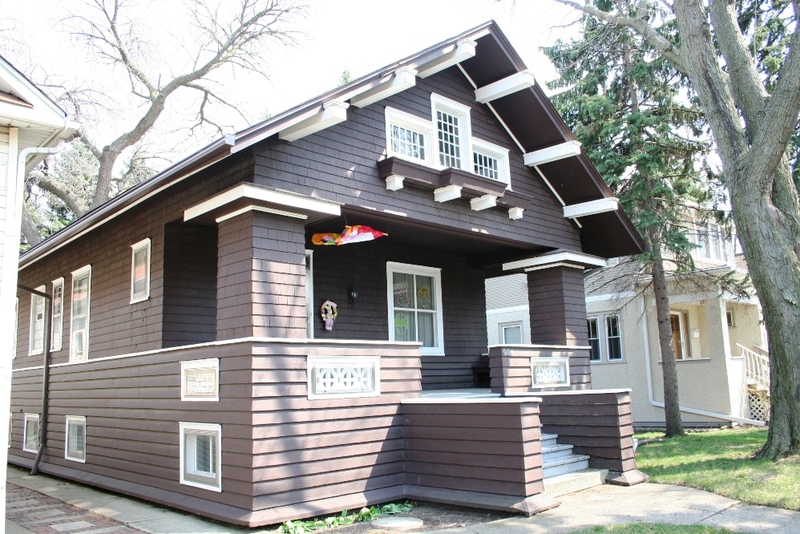 This is one of their four "ultimate bungalows" that influenced craftsman architecture nationwide. Forest Park, IL. Smaller bungalow with pyramidal roof and dormer, with modest corner porch. Ribbon windows (set of 3-over-1 craftsman windows) start to appear here, more common with later international style buildings. Forest Park, IL. Front-gabled bungalow with atypically thick columns and contrasting gable trim and brackets. Central Pennsylvania. 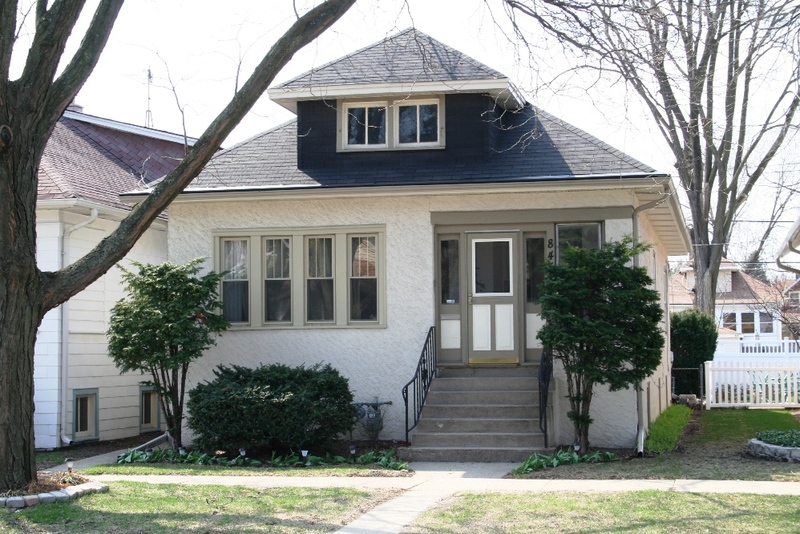 Side-gabled bungalow with prominent dormer and front porch with craftsman piers and columns. Los Angeles, CA. Olive green, clapboard siding (similar to the Gambel House), low-pitched roof, wide overhanging eaves with knee braces, porch with masonry piers and wood columns. Los Angeles area, CA. A craftsman porch with tapered (battered) column on heavy pier, diamond-paned craftsman window, and shingles under the gable. Los Angeles area, CA. A gable-front bungalow with craftsman windows, heavy piers, and knee braces and wood shingles under the roof. Los Angeles area, CA. 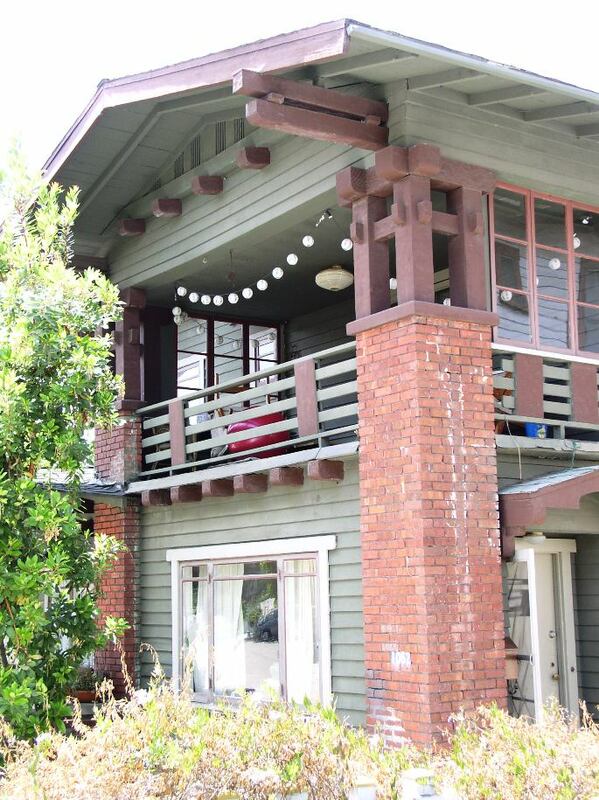 A craftsman-styled, 2-story porch.